Get a glimpse into our world. 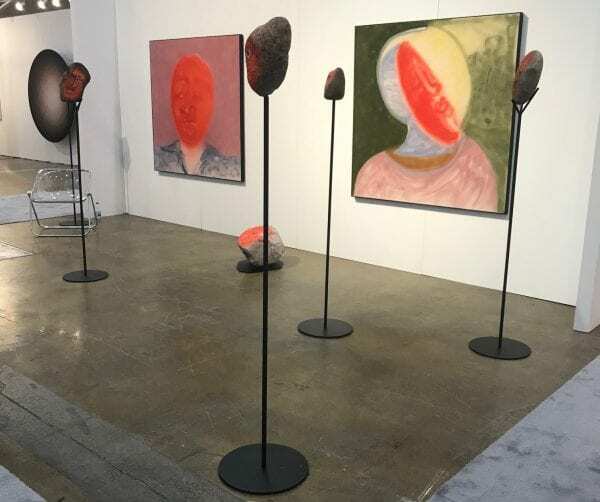 Art Toronto’s 19th edition was in full swing this past weekend in Toronto. 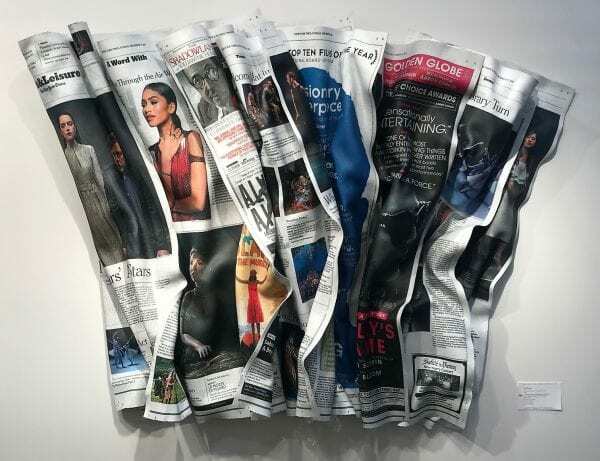 The city’s largest art fair presents artwork from leading Canadian and international galleries combined with PLATFORM, an engaging series of lectures and panel discussions from prominent art world figures, custom curated art installations, an extensive VIP Program, and top-tier cultural offerings throughout the city. Look out for MASSIVart TO at next year’s 20th anniversary! See our favourite #NuitBlancheTO 2018 picks! This year’s 13th edition of Nuit Blanche in Toronto was inspired by the theme “You Are Here” to celebrate the inclusive place Torontonian’s call home and the people within it — past, present, and future. On September 29, 2018, from sunset to sunrise, art and culture aficionados explored and discovered reinterpreted spaces found throughout the city. 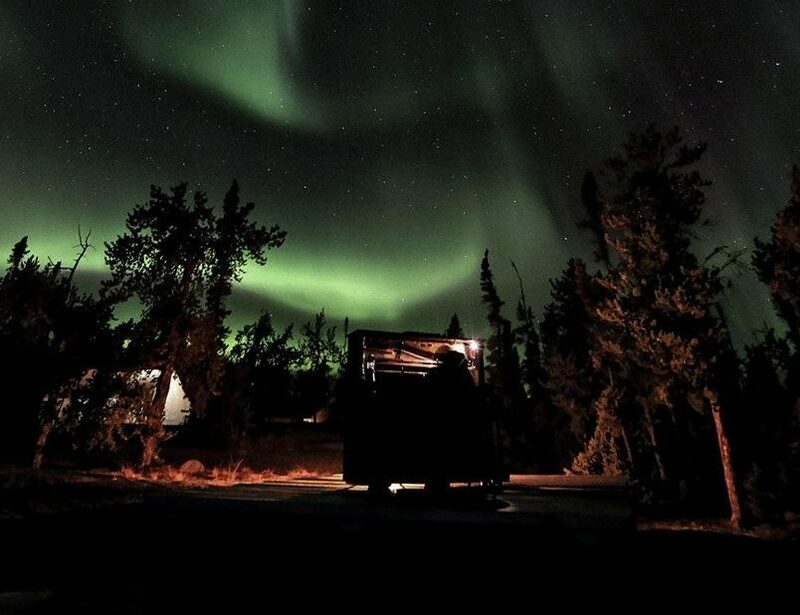 Here’s a roundup of some of our favorite art-driven experiences that tantalized our senses and evoked a sense of boundless community that culture so expressively provides. Words become structures in two complementary works by French-Tunisian artist eL Seed. 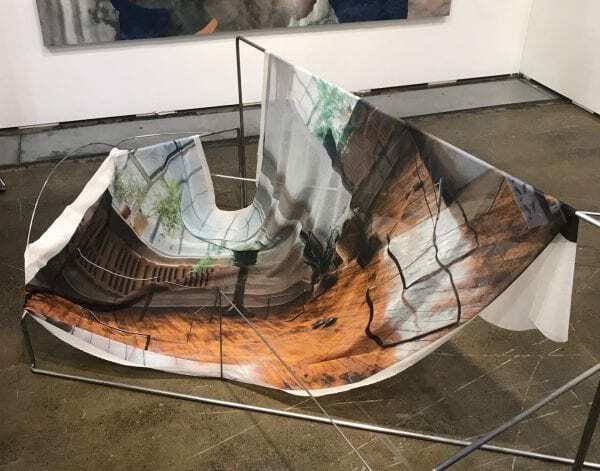 “Mirrors of Babel” was an installation blending Arabic calligraphy with graffiti that proposed an inversion of the legend in which humanity’s linguistic divisions begin with the destruction of a tower. These mesmerizing art pieces invited viewers to focus their attention on the poetry, meaning, and movement of words. 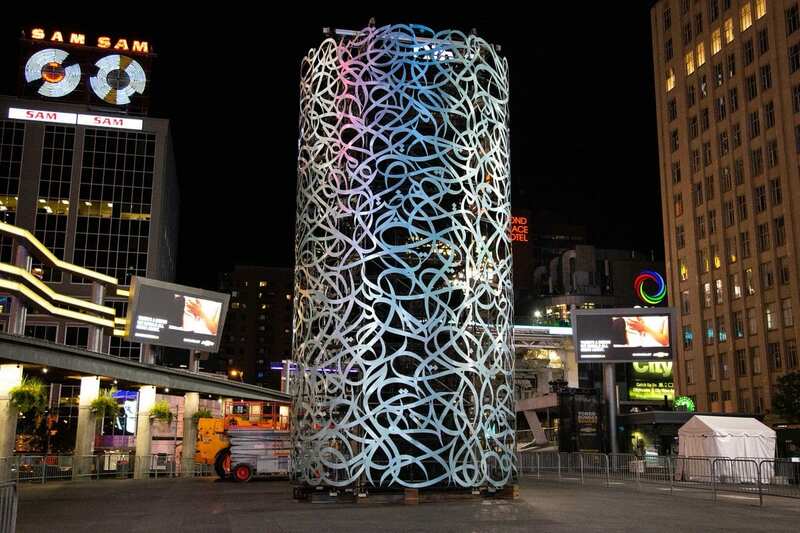 One piece emerged at Yonge-Dundas Square while the other was housed at the Scarborough Civic Centre. 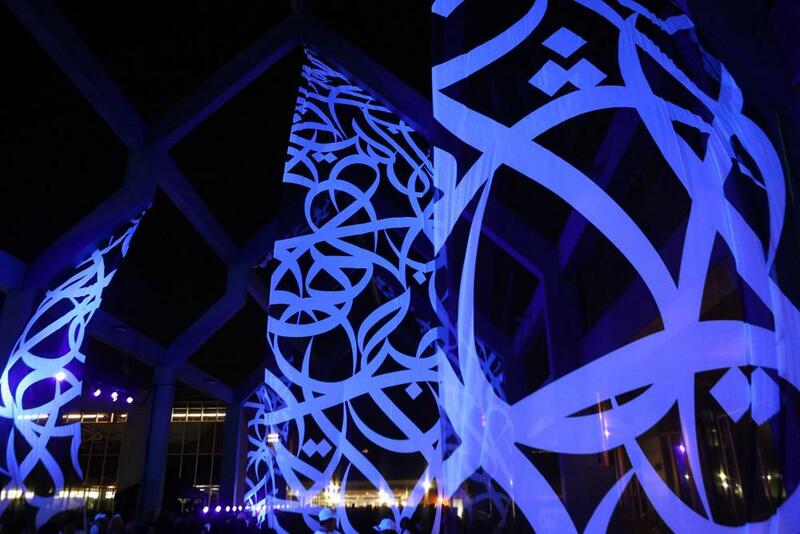 Both works of “calligraphic architecture” are based on the Arabic translation of a 1903 poem. 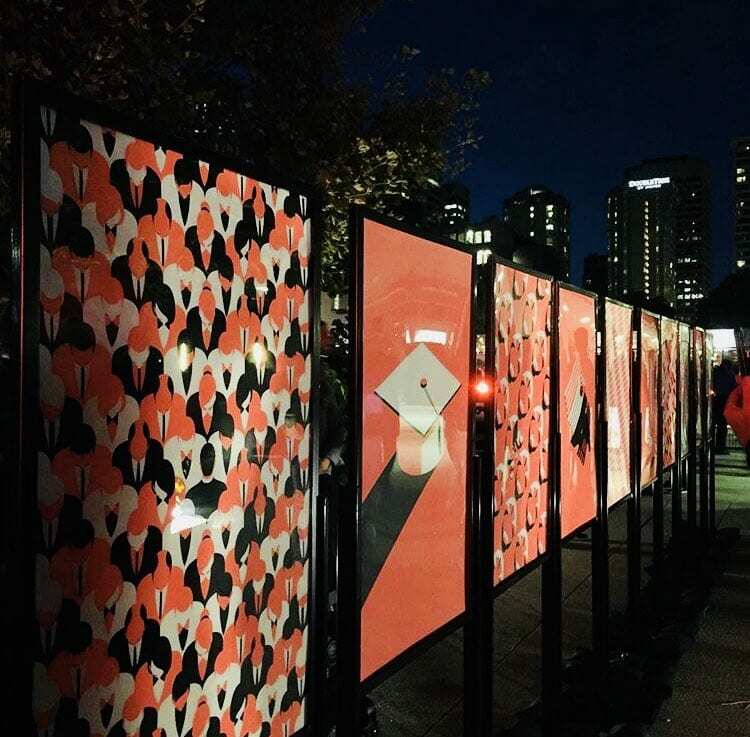 #UNIGNORABLE by United Way was an immersive and interactive art installation situated in the heart of the city that drew attention to the impact of local social problems. Millions of Canadian’s lives are affected by issues that can be easy to ignore, making them feel isolated, helpless and uncertain. 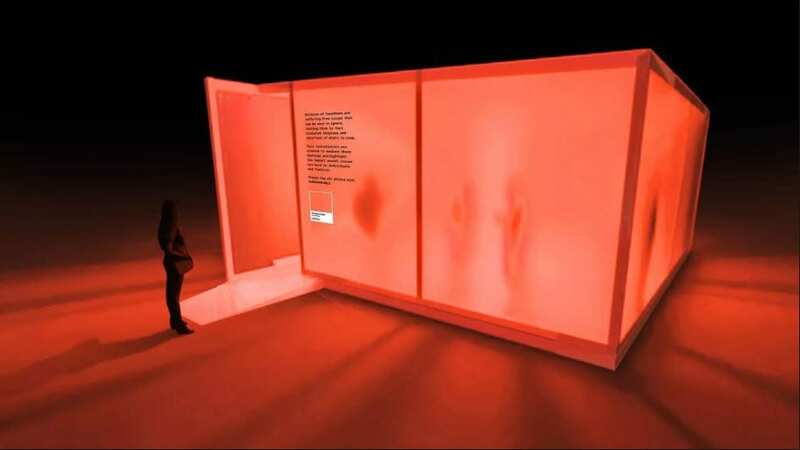 From afar, the temporary installation looked like a brightly lit box (featuring a custom colour developed by the Pantone Color Institute) while inside the box was filled with fog – walking through it created a sense of uncertainty of what’s to come. Additionally, to drive further awareness, United Way proudly partnered with UK-based artist Malika Favre to commission illustrations shared via an exhibit that abstractly showcased the issues of hunger, homelessness, isolation, unemployment and domestic violence that this powerful campaign and art collaboration overtly addressed. 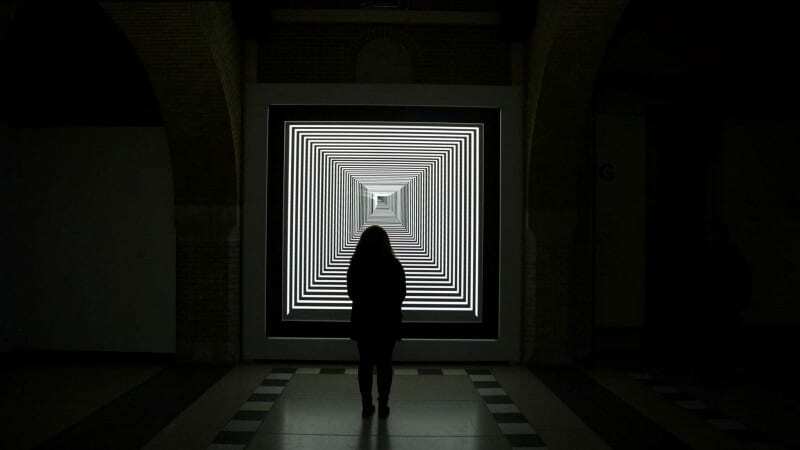 Daniel Iregui, an ongoing MASSIVart artist collaborator, set up some pretty trippy digital tunnels at OCAD. “Forward” generates an infinite optical illusion. The unique combination of sight, sound, smoke, and movement evoke the idea that our present lives are forever fleeing us. 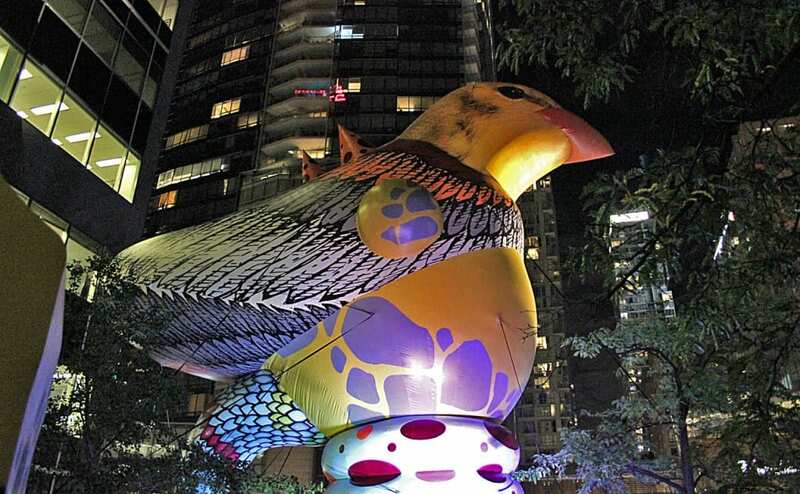 Toronto street artist birdO, presented by Drake One Fifty, created his first large-scale sculpture for the garden podium, an urban oasis above 150 York Street. Inspired by the small yet resilient Kirtland’s Warbler, his vibrant, animalistic sculpture sprawled over the downtown core. We loved surrounding ourselves in Mexico’s Máximo González’s “Walk Among Worlds” – an oversized globe installation meant to provoke discussion about how we understand worlds that are different from the ones we inhabit, not to mention makes for an impressive photo-op backdrop. “Do Angels Exist” by printmaker and artist Nadine Bariteau, created a kinetic sculpture of luminescent printed images that floated above the heads of audience members as they moved through the space. After losing her mother in a fatal accident, the creator has been questioning ideas of loss, grief, and regeneration through this moving installation. 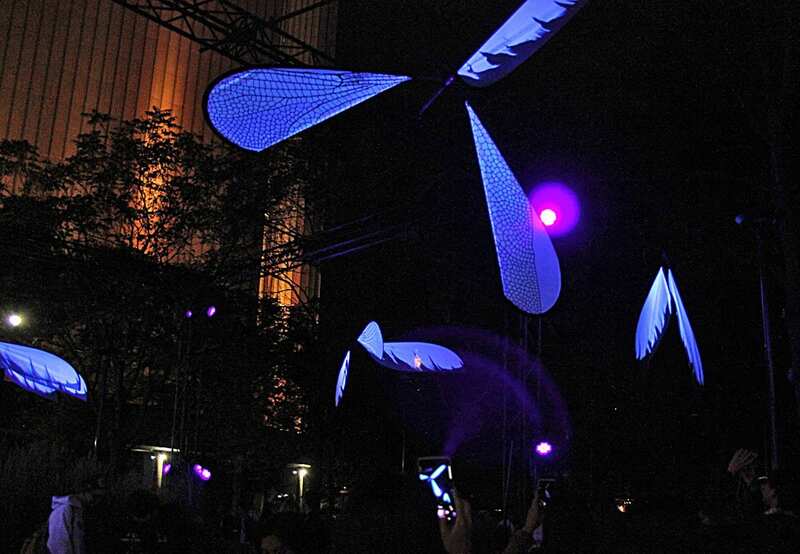 Commissioned by Vistaprint, the glowing prints illuminated by UV lights brought immersive and abstract representations of the natural world – falling feathers, dragonfly wings, and helicoptering maple keys – into the urban environment of downtown Toronto. Hendrick Gin’s L.E.V.I.T.A.T.R.E. (which stands for Levitating. Elevating. Voluminous. Illuminating. Tantalizing. Amazingly. Towering. Roaming. Eye.) installation was an impressive 65-foot tall hot air balloon stationed at Nathan Phillips Square. 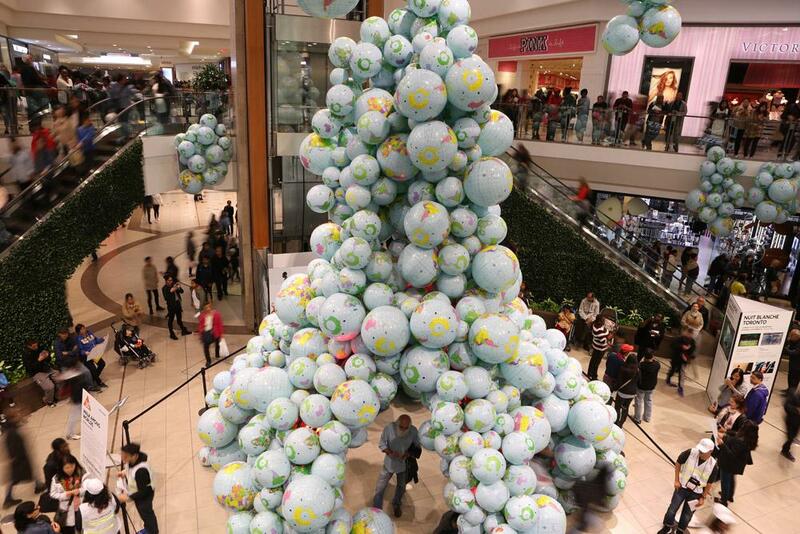 A few lucky contest winners got to experience a whimsical ride and rare opportunity to view many of the Nuit Blanche art installations from high in the sky. What a trip. Until next year, Nuit Blanche! We interviewed Coralie Olson, the Managing Partner of MASSIVart Toronto. – Tell us a little about your background and past work experience? My experience covers working with global brands in the retail, luxury, lifestyle, fitness, financial, automobile, and technology spaces. I have a background in Business Development, Marketing, Digital Advertising and Public Relations management. I’ve developed and executed several successful integrated and award-winning campaigns. My client-relations experience has allowed me to provide guidance and strategy direction that delivers outstanding bottom-line results. My backgrounds provide agency and client-side experience bringing forth relevant industry insights and advanced client relations skills. – What drew you to MASSIVart? I worked with MASSIVart in a client capacity for a project in Toronto and was impressed by their creativity, access to a multitude of art forms and their capacity to generate engaging ideas for the brands and platforms I worked with. I was also pleased with their client service and ability to be flexible and deliver a quality finished product in line with their creative conceptualization. It was clear to me that there was a gap in the marketplace for a company with their unique network and service offering and an obvious growing demand for public connection and experiences. 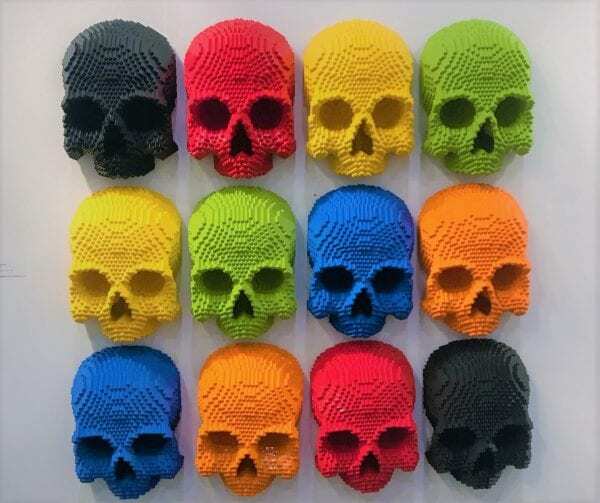 Given my passion for art and design and a business development/marketing background, I was thrilled to join a company that combined my interests! – What do you bring to MASSIVart? Aside from on-the-ground leadership in a new market, I bring experience and expertise in business development, marketing, public relations, branding, strategy development, collaborations and creativity. – How does what MASSIVart offers fit into Toronto’s cultural/art scene and is there a need for it? Being one of the most multicultural cities in Canada with well-traveled audiences, I believe Toronto is not only ready for but craving more inspiration and memorable experiences. That said, the desire for art and culture in the city has never been more prevalent as seen via crowds, excitement and elevated community engagement at recent activities such as Bjarke Ingels’ Serpentine Pavilion, TIFF, Toronto Fashion Week, TO Light Fest, Toronto Ice Festival, Artist Project, the Beach’s Winter Stations, AGO’s Yayoi Kusama: Infinity Mirrors exhibition, Bata Shoe Museum’s Manolo Blahnik: The Art of Shoes, ROM’s Dior exhibit, not to mention, countless compelling brand activations and events. I feel, now more than ever, that people are looking for greater connectivity, authentic experiences and emotional memories that are often driven by advanced creativity. – What would be your dream project and/or client? I love collaborating with developers and architects to put the finishing touches on their projects with art that enhances and integrates into their design aesthetic seamlessly. I’m also highly passionate about unique content generation and collaborations as I love to imagine and bring projects to life. My dream project would be bringing a renowned brand and an inspiring artist together to collaborate on a bespoke campaign or project. I love capturing audiences and taking brands to new levels. – Why did you choose to work in the art and culture space? I’ve always had a passion for design so when the opportunity came up to combine my love for art and design, as well as, the chance to embark on a more entrepreneurial career path, I had to jump on it. Also, I’ve traveled extensively around the world so applying the inspiration I’ve been privileged enough to experience in my work was extremely appealing to me. – What kind of art speaks to you the most? 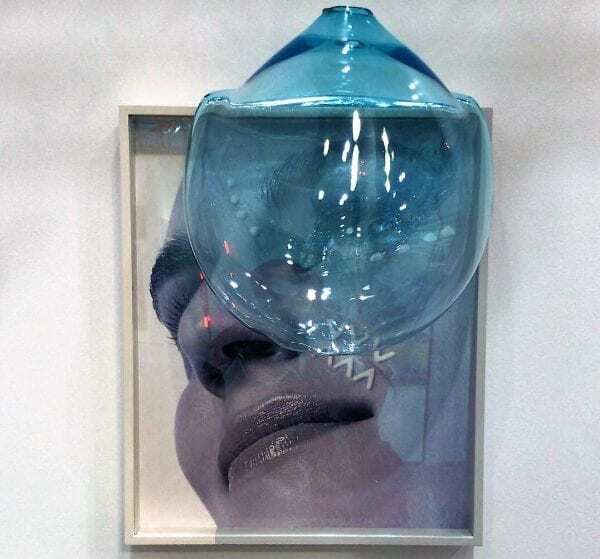 While I appreciate various periods of influential art movements, I gravitate towards contemporary art, as well. I’m highly drawn to anything with water and bright captivating hues…That’s a hard a question to answer as art is so subjective and what appeals to us the most can sometimes change based on our moods! A few images of some of our favorite projects from this past year. 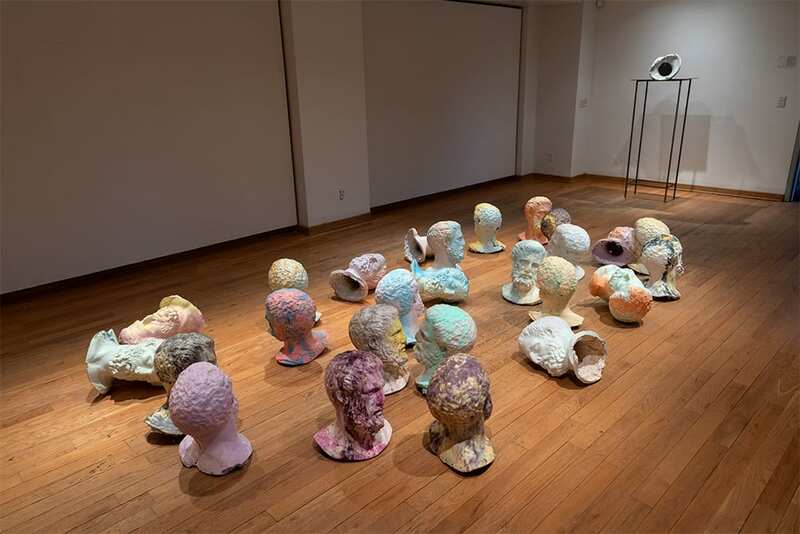 MASSIVart is proud to have presented NOR MIND, a digital art installation by Daniel Iregui, at WUJIE International New Media & Art Exhibition in Huangshan, China. By supporting this approach, MASSIVart reaffirms its aspiration to promote Canadian creative talents beyond North American borders. In collaboration with MASSIVart, artist Jason Cantoro created custom-made artworks inspired by the environment of the hotel. 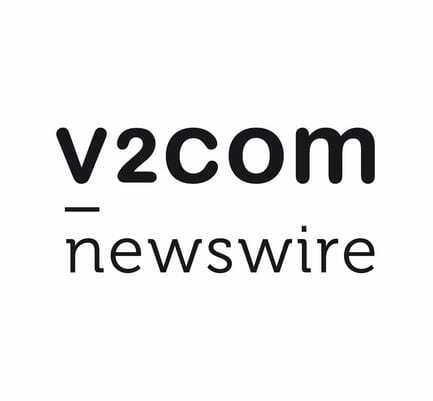 Thanks to our distribution partner V2COM, first international newswire specialized in design, architecture and lifestyle. 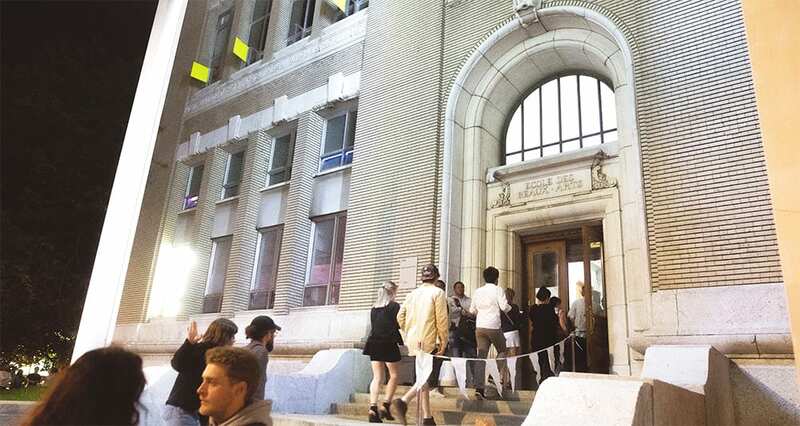 In May 2018, Chromatic Festival took place in an unexpected location, the former École des Beaux-arts of Montreal. For this occasion, Chromatic gathered artists, creative professionals, and the general public to take part in the different activities and events (Chromatic Expo, Nuit, Pro, and Kids) offered to attendees. Once again, Chromatic Festival 2018 brought together thousands of people all bounded by a passion for art, innovation and culture. The ninth edition of the festival was marked by discoveries, surprises and encounters. 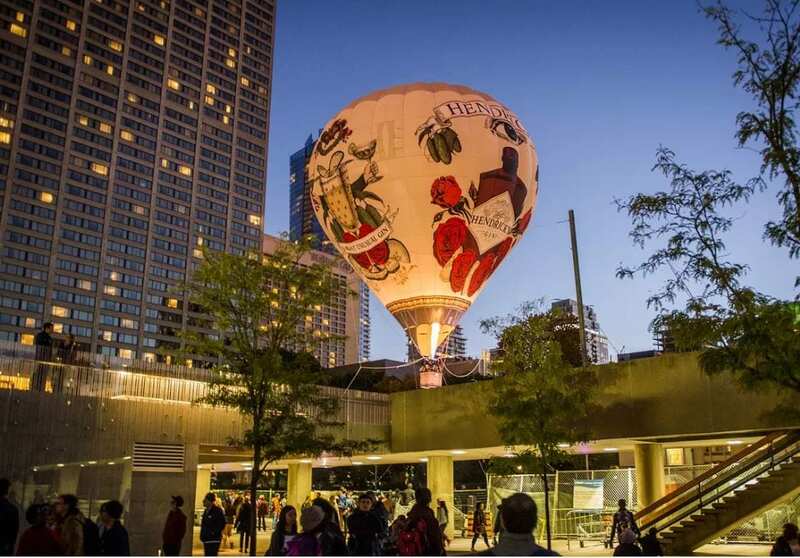 The festival which ​​​​took place in the heart of Montreal from May 26th to June 2nd, gathered over 10,000 people to celebrate the city’s ​best in​ art and creativity. Programming included a mesmerising visual arts exhibition, professional workshops, parties that went well into the night and ​adorable ​kids activities to drive their creative expression. EXPO, the festival’s art exhibition was diversified with artworks that truly conveyed the thought-process artists put into their creations. Many artists used this exhibition to explore creative boundaries which made us proud to be able to showcase them first. NUIT lights up the city’s nightlife bringing people together to dance until the early hours of the morning. To complement the eclectic mix of music, hypnotising videos and digital art made by talented VJs such as Fvckrender, BOYCOTT, Lilith and VINO were projected during the DJ sets. PRO showcased some influential institutions such as DeSerres, Téléfilm, and SODEC to talk about the integration of art and business. During these conference and panel talks, participants received invaluable insights and advice from industry experts. KIDS as usual was a big hit as parents even wanted to participate in their children’s activities. Yoga, workshops, glow art, hologram and music-making were part of the fun-filled programming. 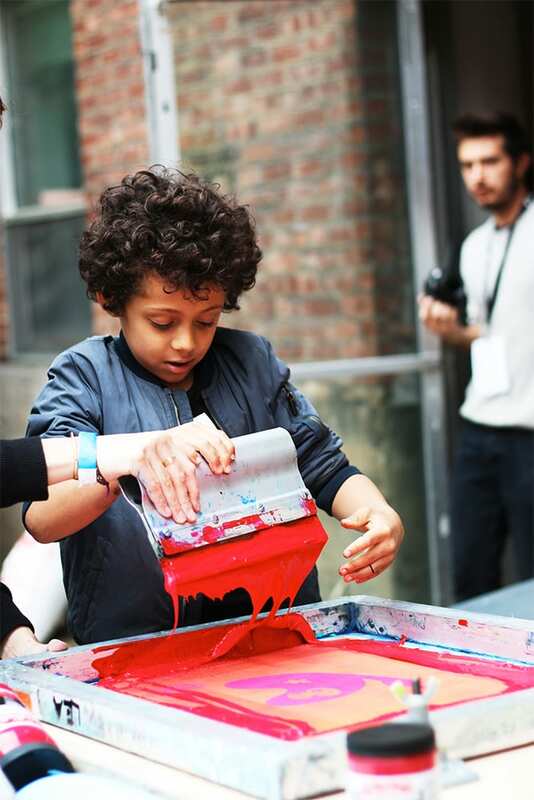 MASSIVart’s commitment to exposing and encouraging creativity and the arts to the younger generation is a highlight of the festival each year. The endless smiles on the kids faces is beyond gratifying as they get to interact with installations such as Laetitia Gilbert’s paper hut – the perfect photo-opp and keepsake. We are thankful to everyone who attended and made the ninth edition of Chromatic a memorable one. 2019 will mark our 10 year anniversary, and needless to say we have a myriad of surprises planned and are excited to share and celebrate with the public! MASSIVart produces a museum-quality collection for the iconic Fairmont Queen Elizabeth Hotel. 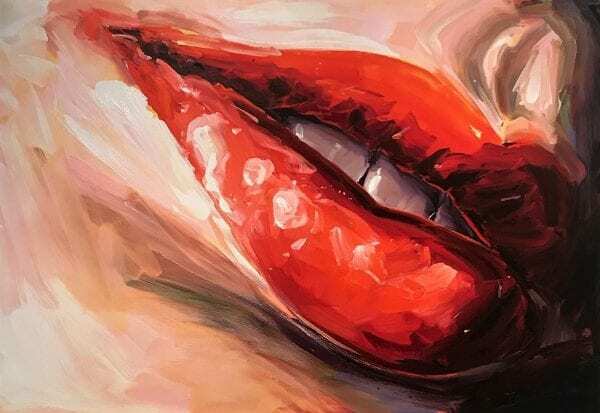 MASSIVart Collection, dedicated to the evaluation, curation and acquisition of artworks, recently launched its inaugural art collection for the Fairmont Queen Elizabeth Hotel in Montreal, Canada. The collection of 123 artworks, composed mainly of Québec and Canadian artists, brought to light Montréal’s contemporary art scene. 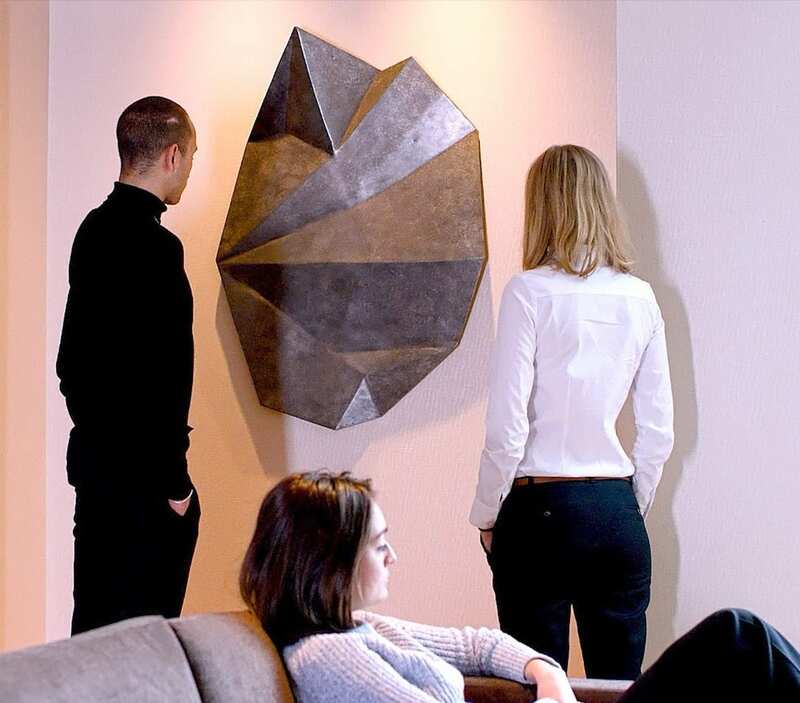 Located in the heart of Montreal, hotel visitors and guests can contemplate the luxurious works of numerous renowned artists such as Patrick Coutu, Michel de Broin, Geneviève Cadieux, and Nicolas Grenier to name a few. The artwork selection and its integration into the overall architectural design was curated by MASSIVart’s chief art curator and partner, Arthur Gaillard, in collaboration with art consultant, Camille Lalonde-Lachapelle. Collaborating with artists, architects, and designers, MASSIVart Collection explores the many possibilities to integrate art into public or private spaces with the utmost in creativity. Enhance Through Art is our company’s motto, showcasing the added value we bring to spaces while contributing to the promotion of visual arts. With this curation project for the Fairmont Queen Elizabeth, MASSIVart Collection demonstrates its art market expertise and its capacity to take into consideration the environment and the global-design of a space. This collection of museum-quality artworks perfectly illustrates the ways in which creativity, arts, and aesthetics can enhance a living space and positions MASSIVart as an art-market expert and a key player in the Canadian and global art scene. Additionally, through its collaborative approach with artists, MASSIVart Collection ensures a coherence between the needs of the client and the artist’s creative process. As a result, the artworks commissioned for the Fairmont Queen Elizabeth fulfill the criteria of the space without constraining the artist’s wishes. 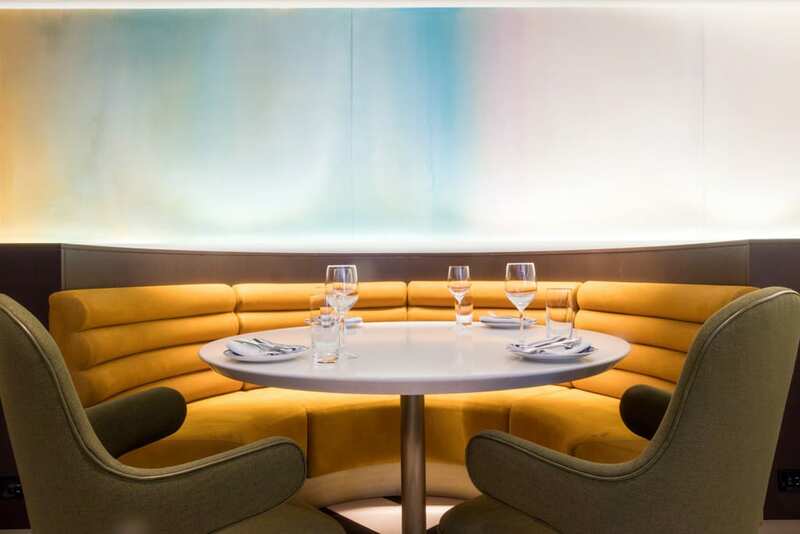 Paul Hardy’s artwork Drift Glow for instance, which was created specifically for the hotel’s restaurant, impeccably blends with the architecture and perfectly contributes to the global experience of the space. Finally, MASSIVart Collection offered our client, Ivanhoé Cambridge – the owner of the Fairmont Queen Elizabeth an alternative long-term investment opportunity by providing access to a unique repertoire of Quebecois, Canadian, and International artworks. 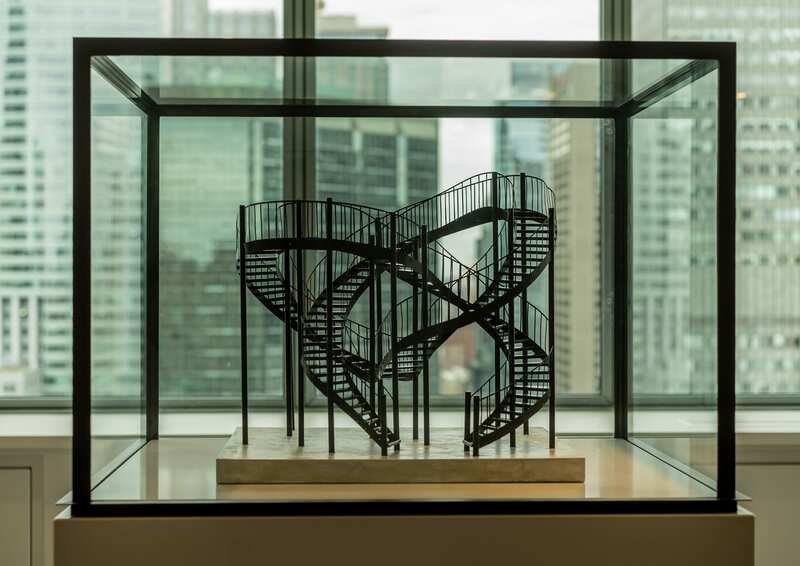 The carefully curated collection took into account its appreciation value while contributing to Quebec’s cultural heritage with the hotel’s support of the Montréal art scene. 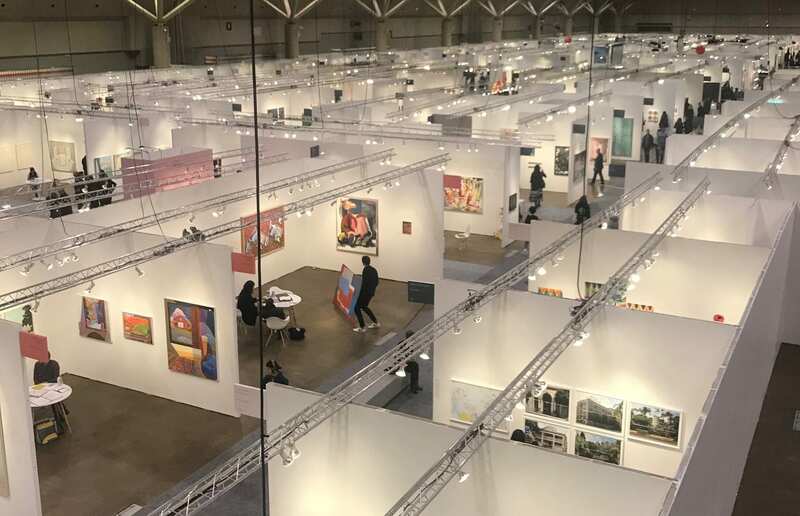 The new contemporary art venue offers creative inspiration to a large audience, composed both of art enthusiasts, tourists, and business people. MASSIVart was selected by Export Québec as one of Montreal’s top Canadian creative houses to co-produce a commercial mission in Shanghai, China. 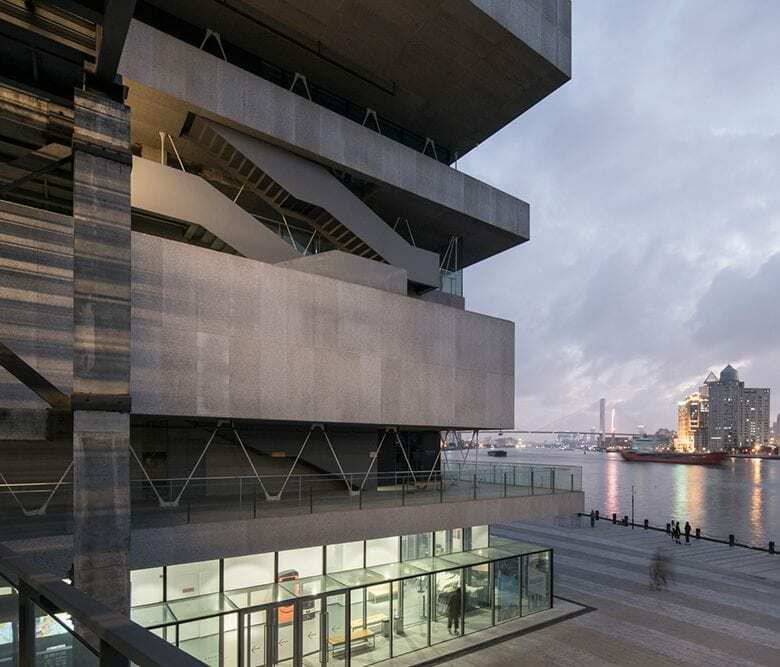 From January 25th to January 27th 2018, this B2B event was held in Shanghai at the Modern Art Museum, featuring creative enterprises, talent and multidisciplinary artists from the province. In collaboration with Dufour & Lucid Dreams, MASSIVart and Export Québec developed L’Effet Québec, a concept designed to promote Quebec’s expertise abroad. This was especially relevant since the number of commercial successes in China for Quebec is on the upswing. Approximately 50 companies demonstrated and promoted Quebecois creativity and talent, fostering discussions and the development of business relationships between China and Quebec. Conferences, discussion panels, performances, and a guided tour exhibition allowed for enterprises to showcase their expertise to Chinese collaborators while offering a one-of-a-kind experience to all the participants. MASSIVart’s CEO & Founding Partner, Philippe Demers, points out that “Chinese people are very curious regarding what is happening creativity-wise abroad, and at the same time, they like concrete and tangible things. We love pushing the boundaries forward by bringing people and artists from the cultural and creative Quebecois sphere to China. These types of missions and opportunities are highly beneficial for our remarkable talent exposure and export.” Overall, This is Quebec brought together distinguished guests from the government including Quebec’s Prime Minister, Philippe Couillard, as well as, guests from varying sectors such as architecture, real estate and art. With this initiative, L’Effet Québec represented a unique platform for encounters, discoveries, and innovative collaborations, all brought together to foster creativity, while also allowing MASSIVart to reiterate its global mission of promoting Canadian artistic talent beyond North American borders. Philippe Demers, CEO & Founding Partner of MASSIVart sits on the global arts grants jury for the renowned desert festival. 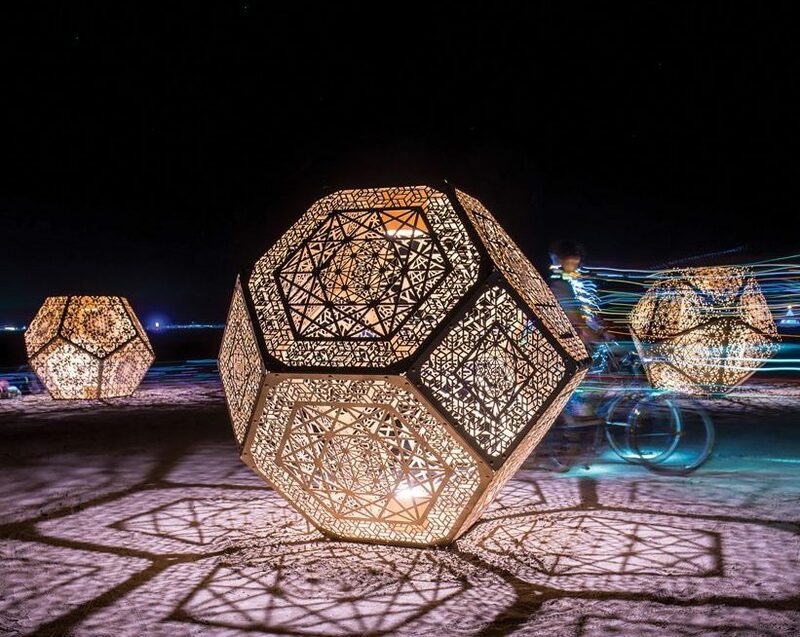 MASSIVart CEO & Founding Partner, Philippe Demers, was invited to be a part of the Burning Man Arts global grants committee for the renowned festival that takes place annually in the desert of Nevada, USA. Dedicated to funding artistic projects that are inspiring, interactive, accessible and most importantly, community-driven, the program funds various projects that become part of the festival and beyond. The arts grants offers up to $10,000 USD per project and has contributed over $750,000 USD to date, funding in total more than 160 projects from over 25 different countries. The selection committee is comprised of nine members with various creative backgrounds. Having a cultural ​expert from Montreal (Canada) at the jury table for a​ global ​event of this size shines a spotlight on the country’s influence and expertise in the arts. Philippe is deeply passionate and committed to the Montreal and international cultural community and through his experiences in cultural management and artistic production he continues to demonstrate his creativity and leadership skills whether in Canada or abroad. 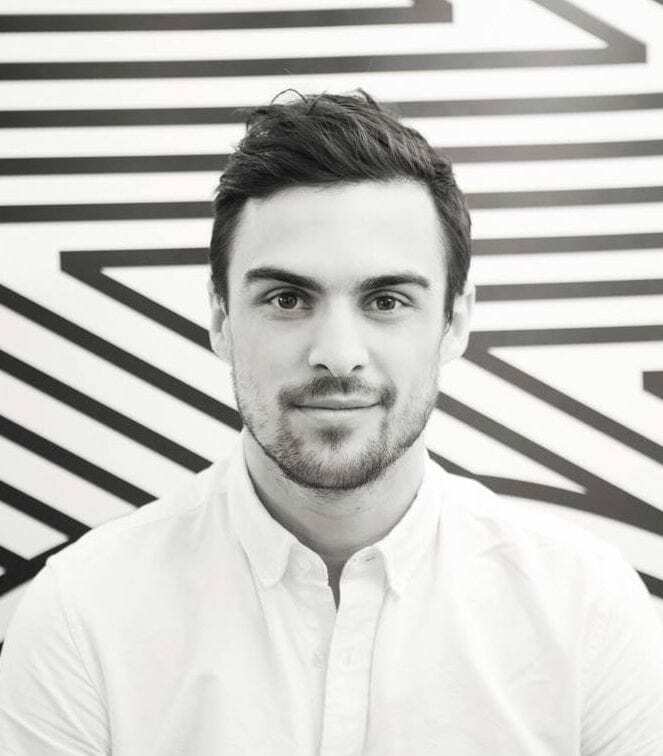 Demers also founded Chromatic, a non-profit festival aimed at promoting artistic entrepreneurship, creativity, and innovation in Montréal. Prior to the Burning Man Arts global grants jury, Philippe was a part of other like-minded committees such as South x Southwest (SXSW) festival that celebrate the convergence of the interactive, film, and music industries from 2016 to 2017 and the Printemps Numérique, a non-profit organisation whose primary mission is to boost digital creation and creativity through various local activities from 2013 to 2015 as an art consultant and curator for both platforms.